« Lucky Day Mini Session Announcement! 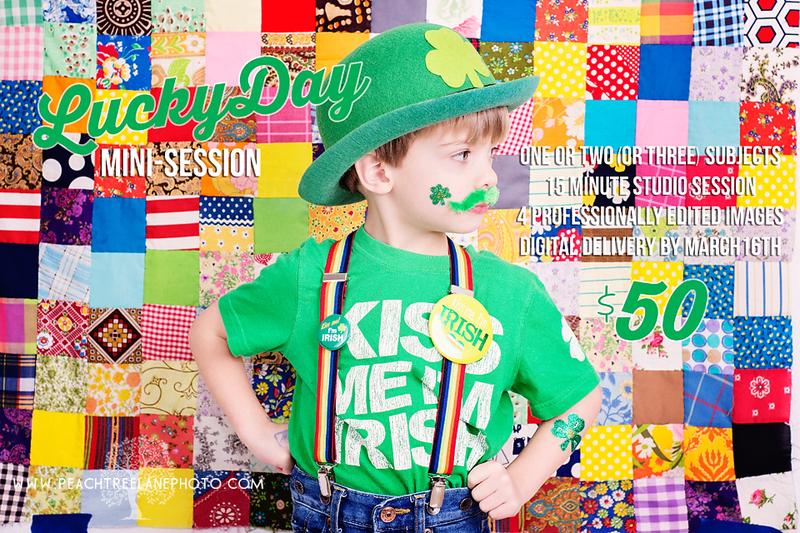 Lucky Day Mini-Sessions – being Irish is completely optional! Use the contact page or message me in Facebook to arrange your session date and time! This entry was posted in Mini Sessions, Uncategorized and tagged child photography, east peoria photographer, family photography, germantown hills photography, metamora il photography, peoria illinois photographer, St. Patrick's Day, St. Patty's Day.